Passwords are good because they keep information secure and safe from prying eyes. The problem comes in when there are too many passwords to remember. Am sure you have very many passwords. From those on your social media accounts to those of the forums you belong to and even the staff portal where you work, they are so many passwords and remembering each of them is stressful. Having to type in a password every time you log in to a secure website is tiring and cumbersome. The good news for Samsung Galaxy Note 9 owners is that there is a solution to all this. You can use your fingerprint instead of passwords to log in to a website of choice. All you need is Samsung Pass! 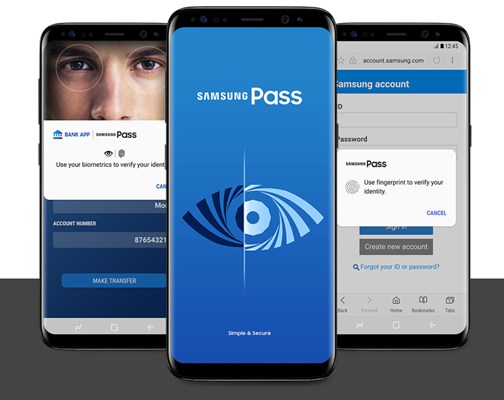 What is Samsung Pass? 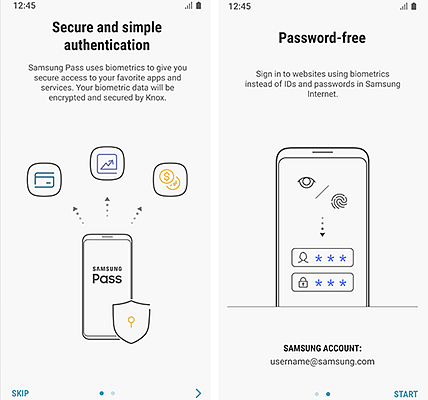 This is a feature by Samsung that allows Samsung phone users to access secure websites using their biometrics instead of passwords. Since no one can ever have the same biometrics as you, you can rest easy knowing that your online access is safe and no one can access private information about you. 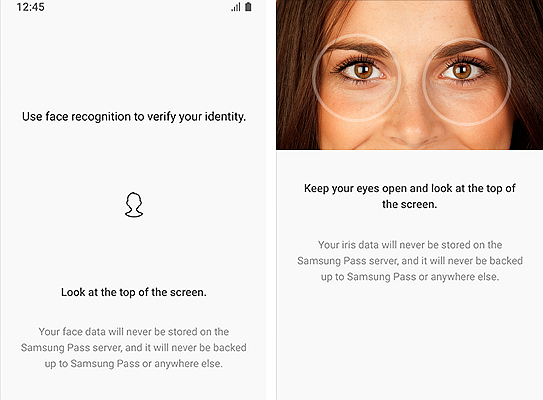 The biometric traits Samsung Pass uses are face recognition, fingerprint and iris scanning. In order to use Samsung Pass you need to be using Samsung Internet to access the internet. The good thing is that every website will load on this browser. To get the Samsung internet app, go to the official Samsung website and download the application. This app is supported by all Android phones so even your friends who do not have Samsung devices can use it. Other than the Biometrics security, another outstanding feature of this browser is ad blockers. Samsung Internet is a great browser that gives its users secure and reliable online connections. 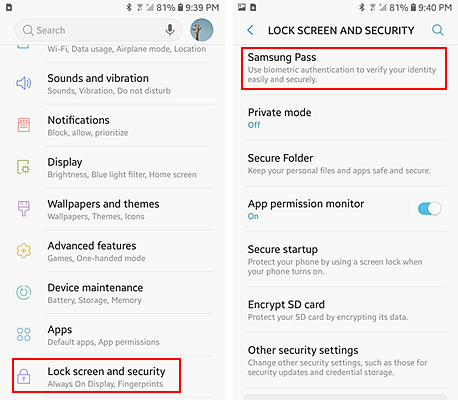 To set up Samsung Pass, start by opening the “Settings” app and then tap on “Lock screen and Security”. From the options, select “Samsung Pass”. A tutorial will be shown; go through it to understand how to use it. Scroll to the end of the tutorial and sign in using your Samsung Account. Accept the terms and conditions and tap the “Next” button. On the next screen will be the Biometrics options. Select the one you are the most comfortable with and finish the process. You can now sign in using your chosen biometric to any website on Samsung Internet. 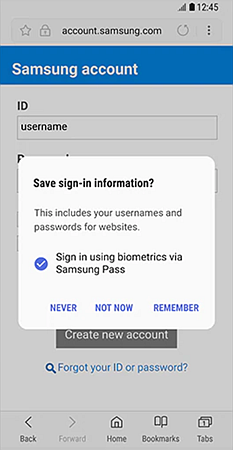 Now that your Samsung Pass is all set up you can use your preferred biometric to log in to secured websites. Open the Samsung Internet app and open any secure website. Enter your ID and password and check the box next to “Sign in Using Biometrics via Samsung Pass”. Also, select “remember”. The next time you log in to this website, all you will need is your fingerprint. Just scan the finger you registered using the fingerprint scanner and confirm to log in. If using the iris, place the phone so the iris scanner and your eyes are in line. The scanner will do its thing and you will be logged in. A plugin is available that allows the Samsung Pass to autofill passwords of various applications. To enjoy this, just download the plugin from the Galaxy Apps Store and you will be able to login to apps on your phone without having to memorize the passwords. This autofill feature is very useful. Simply scan your fingerprint when you want to login to the account and the password will be automatically filled for easy and fast login. Another useful feature of the Samsung Pass is the confirmation of eSignatures. You can sign important documents easily using the S Pen and then confirm using your biometrics for increased security. No one can ever falsify your signature on your phone and land you in trouble. Why use Samsung Pass on your Galaxy Note 9? This method is not only convenient but is secure as well. Someone can always steal your password but your biometrics is only yours. 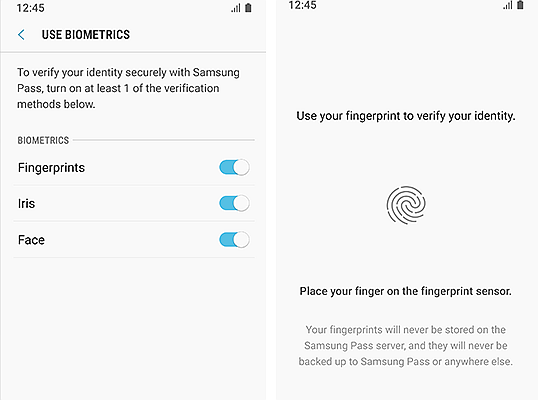 The Samsung Pass is also fitted with Samsung Knox which encrypts all the biometric data collected. This keeps your data safe from malicious people who may want to use it to harm you. Biometric identification is much faster than keying in long and secure passwords. In just a second you will be logged in and can get on with what you want to do. Fast, convenient and secure; you need to start using Samsung Pass today!